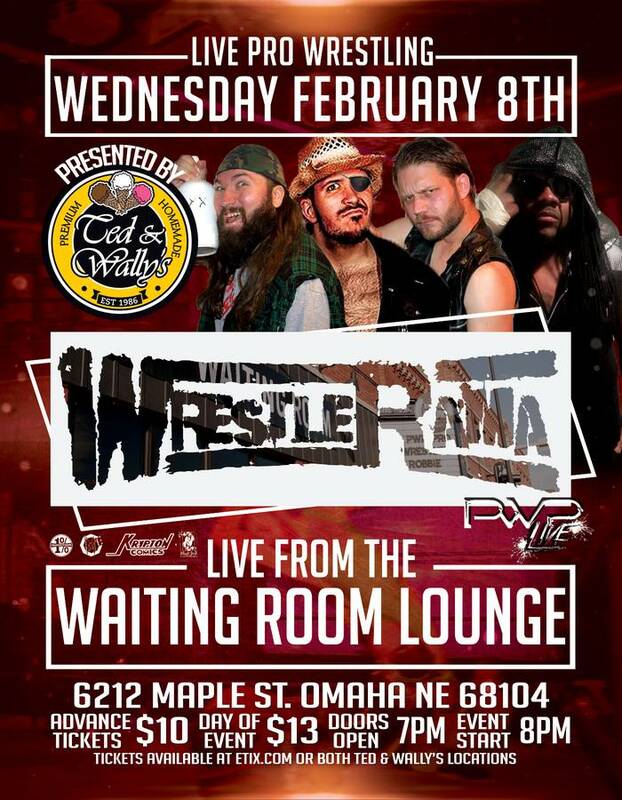 Ted and Wally’s Premium Homemade Ice Cream presents: PWP WrestleRama – Wednesday February 8th at The Waiting Room Lounge in Omaha, NE! This entry was posted on February 1, 2017 at 6:30 pm	and is filed under Uncategorized. You can follow any responses to this entry through the RSS 2.0 feed. You can leave a response, or trackback from your own site.